The original Book Of Ra slot has all but disappeared from land-based casinos in the UK at least, but the good news is that Novomatic have pretty much ensured every casino now has at least one Gaminator machine with the Deluxe version - often referred to as "Book Of Ra 2" - in place. I have also added the Book Of Ra Deluxe slot to GFM along with Columbus Deluxe and Dolphins Pearl Deluxe and will hopefully get to add some more Novomatics in time to come. Novomatic's Book of Ra slot is available to play online for real money at the online casinos listed above and in land-based casinos around the UK. The original was a 9 line slot with a free spins bonus triggered by 3 scatters in view whereas the deluxe version of Book Of Ra has 10 paylines. You get 10 free spins and during the free spins a random symbol converts into an "expanding symbol" which can boost the wins considerably. Actually, I remember having a very good 275x win on the Book of Ra slot feature down at the Rendezvous casino in Brighton - hit 5 scatters during the free spins and what's more, it was the very the first time I ever played the game! Quite a few of the Novoline slot machines have now been ported online in fact. Apart from BookOfRa and the aforementioned Deluxe slots, Novomatic have also released the excellent Lord Of The Ocean slot - which is pretty much the same as the Book Of Ra slot in features - and the very popular Reel King (just click the link to play it here at GFM). Oh and the Columbus slot is available too. More to follow no doubt. For B&M casino regulars there two more very popular casino slot machines available to play alongside the Book Of Ra online here at Games & Fruit Machines which are worthy of a mention. Barcrest's Rainbow Riches will probably be more than familiar, as will IGT's Cleopatra slot although IMO the latter is starting to look a little tired now. On a relativelt recent trip to Budapest, I visited a couple of land based casinos and found an interesting slot machine called the "Book Of Liberia" which is actually a clone of Novomatic's Book Of Ra slot but made by "MultiGames", presumably under licence. Again, graphics and sounds are in my opinion slightly better than the original Book Of Ra slot machine and on a par with the Deluxe version. I also got lucky and hit 10 free spins with no less than 7 retriggers (80 spins in total) giving me back just over 500x my bet! 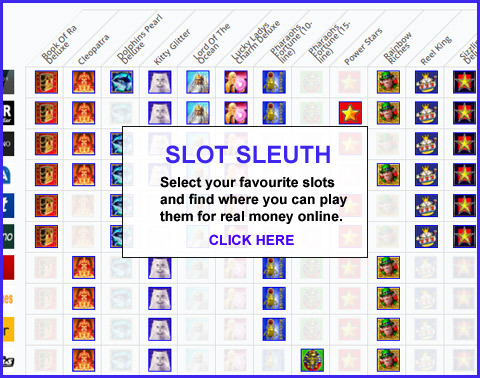 For a lot more information on the Book Of ra slot and other machines from Novomatic's Gaminator series that are now available to play online, check out my dedicated website, imaginatively title "The Book Of Ra Slot"! It has videos and pictures of some of the big wins I have had on Book Of Ra and other Novomatic games along with a more detailed look at which online casinos carry the Novomatic slot games.